If the cover you require is not on our list of covers don’t worry, we can still help you! Simply complete this form and submit your request and one of our staff will get back to you with a price and one of our preset PDF diagram forms for you to complete. Alternatively, if you would prefer to speak to a member of staff please do not hesitate to call us! We will be happy to answer any queries you have and will help in any way we can. 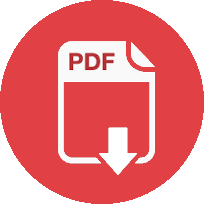 Here are some of our Popular PDF diagram forms. If the none of these forms suit the amplifier or speaker you have, please e-mail us using the form above.